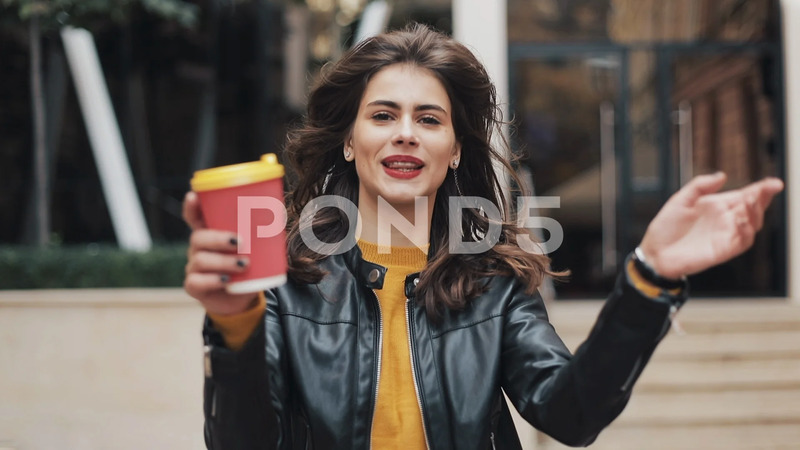 Description: Happy young woman walking near the business center and dancing with a cup of coffee in hand. Beautiful girl looking into the camera. Good mood, funny, slow motion.